May 17, National Coal Mine Safety Supervision And Evaluation Experts came to China Transport Group for on-site supervision and evaluation to series of mine products produced by our Group. 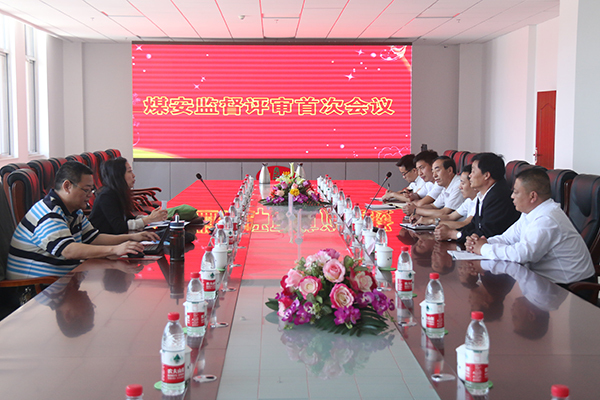 China Transport Group Executive Deputy General Manager Feng Zhenying, Li Zhenbo, Deputy General Manager Fan Peigong, Guan Chenghui, General Manager of Machinery Company Xie Ticai, Technology Director Shao Hua and other leaders accompanied reception. Manager Feng on behalf of Group expressed a warm welcome for the arrival of the expert group. At the review meeting, the experts firstly introduced the review of the specific audit content and audit procedures. 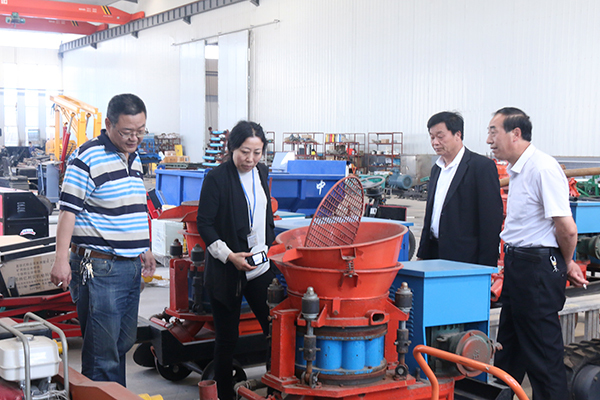 Subsequently, accompanied by the leadership of the Group, the expert group visited the intelligent equipment production workshop of China Transport Group, and learned more about the production and sales situation of varieties and series of mining products, and on-site measurement and took pictures for a series of samples and related technical information. After the all-round strict, objective and impartial review by the expert group on the production site of the series of mining products, technical information, on-site inspection, production process etc., the audit indicators of the series of mining products produced by my Group have reached the national coal security certification standards, and successfully passed the coal safety supervision and evaluation. The expert group expressed great appreciation for the active cooperation of our Group in this review, and made professional suggestions on the relevant technical details of the production and encouraged the Group to further explore and innovate to produce more high-tech and high standards mining machinery and equipment, and return the market and the community with the most secure and highest quality products! Over the years, China Transport Group always adhere to the enterprise spirit of responsible for the country, the community and the customer, and actively respond to national safety requirements, strictly control the product quality, strive to improve product quality and safety level, actively carry out the coal safety certification work of mining series products, and more than 50 mining products have been successfully passed the national coal security certification, meanwhile gain a high degree of recognition and trust by domestic and foreign customers. At present, the production and sales of various types of industrial and mining products of my Group sell well in 34 provinces and cities, autonomous regions nationwide, the number of customers up to 360000, and establish a new benchmark of innovation and development for the traditional industrial enterprises!